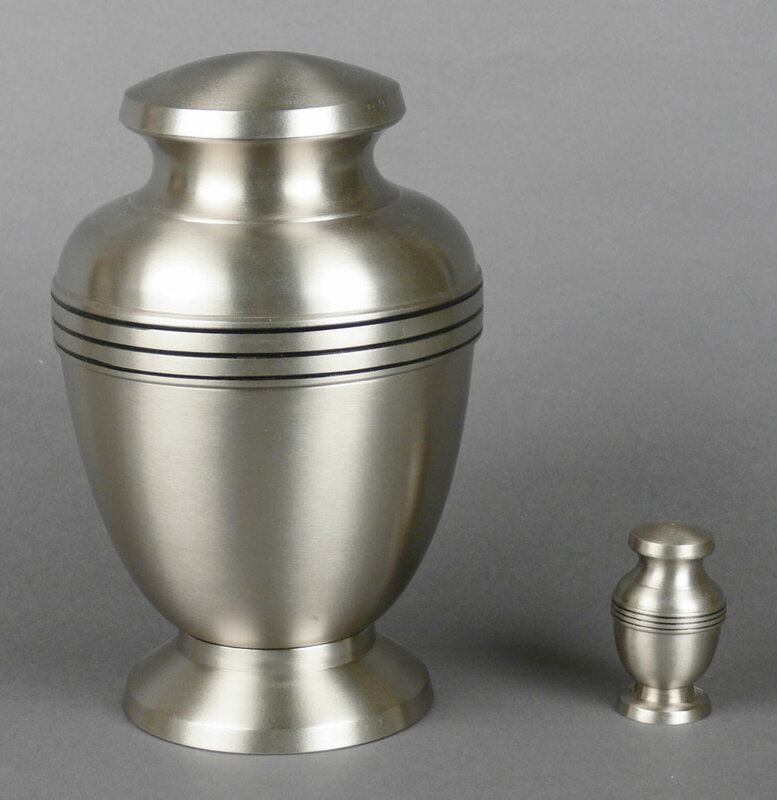 The Mercury Brass Cremation Urn is a solid brass urn with a soft pewter silver finish and a pedestal base. It is simply decorated with three thin black bands around the widest part of the urn. The urn has a threaded lid for secure closure. This style is available as a large urn and matching keepsake. This urn can be engraved for an additional fee. 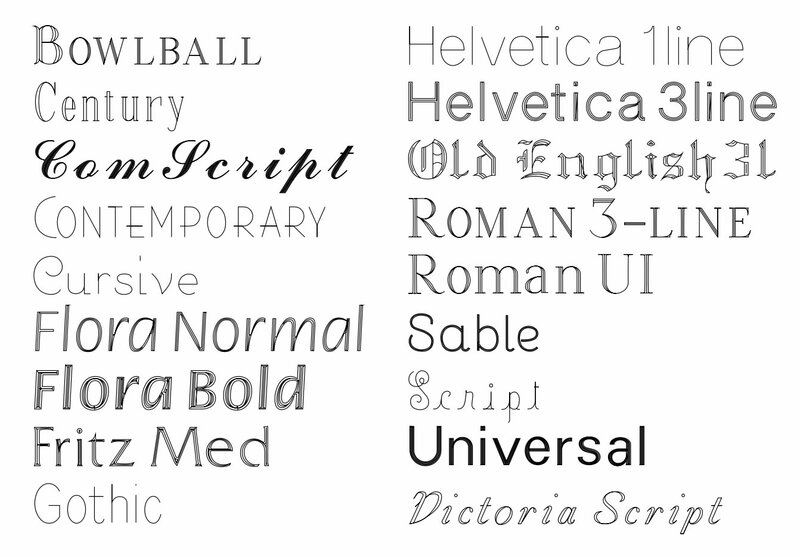 Please limit each line of engraving to no more than about 30 characters/spaces per line. Click on the small print below the large photo of the urn to view the engraving font styles and write your selection in the space provided. The engraving will be oxidized (blackened). An engraving proof will be emailed for your approval prior to the urn being engraved. Please allow one business day after the proof has been approved before the urn ships. Non-engraved items usually ships same business day if order is placed by 11:00am Eastern Time. Engraved items take at least two business days to process before shipping.